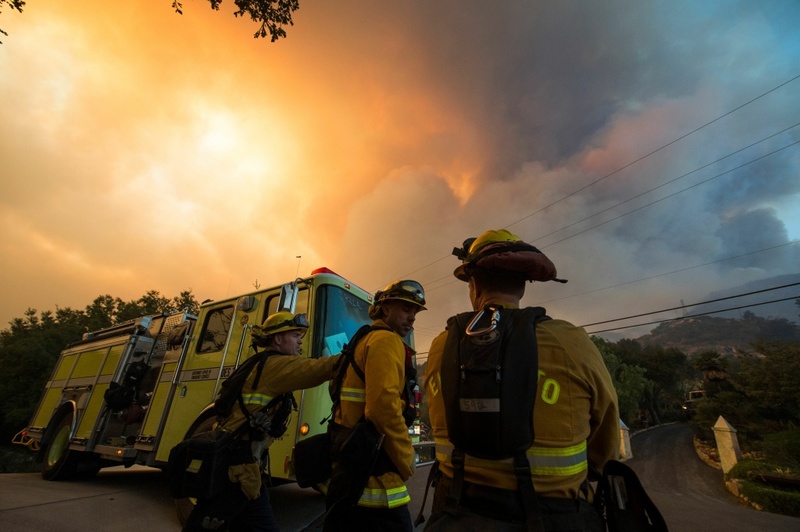 Firefighters from the Governors Office of Emergency Services monitor the advance of smoke and flames from the Thomas Fire on December 16, 2017 in Montecito, California. Note: This story is no longer being updated. For the latest information, go here. Firefighters are trying to prevent the massive Thomas Fire from consuming homes in Santa Barbara and Montecito. They're hoping less powerful winds on Sunday will help them after they managed to stop the Thomas Fire from burning thousands of residences on Saturday. The Thomas Fire, which has been burning since Dec. 4 in Ventura and Santa Barbara counties, has burned 269,000 acres and remains 40 percent contained as of late Sunday afternoon. It has destroyed more than 750 structures, most of them homes, and damaged almost 250 others. Another 18,000 buildings remain in jeopardy. 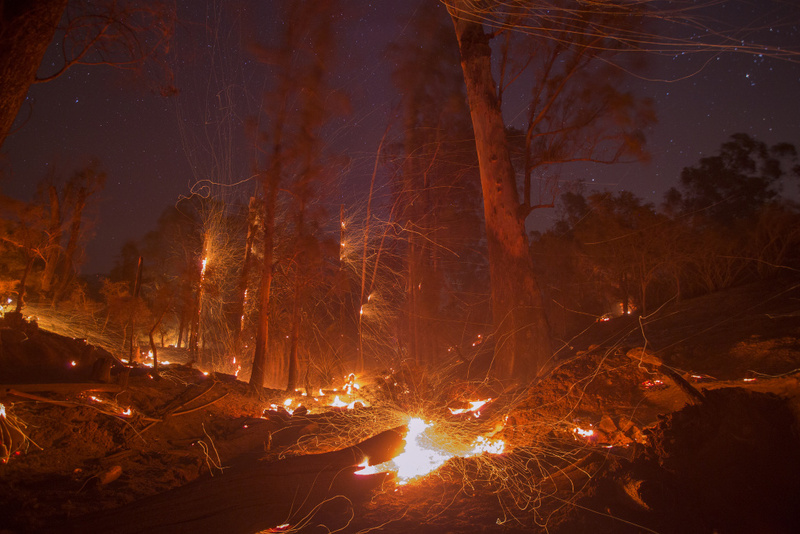 After burning for 14 days, it is now the third-largest fire in California history. If it burns more than 273,000 acres, it will become the largest in the state's history, surpassing the 2003 Cedar Fire in San Diego County. 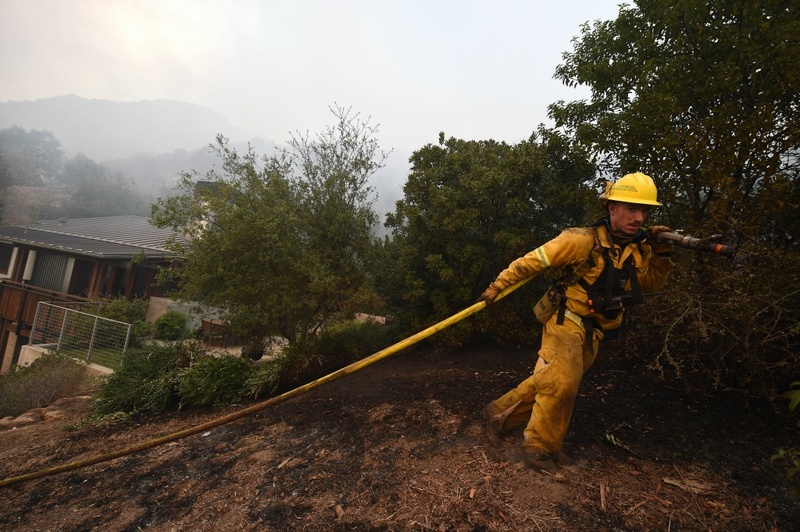 Napa City firefighter Nick Rizzo pulls a hose up a steep hill to protect structures from the Thomas Fire on December 16, 2017 in Montecito, California. Winds eased up on Sunday after roaring to 30 mph, with gusts up to 60 mph, on Saturday. But even the lower intensity winds, with gusts of up to 35 mph, are extremely dangerous, said fire spokesman Jude Olivas. He said 400 fire engines were on the scene and firefighters saved thousands of homes on Saturday as they dealt with "extreme and erratic" fire behavior. 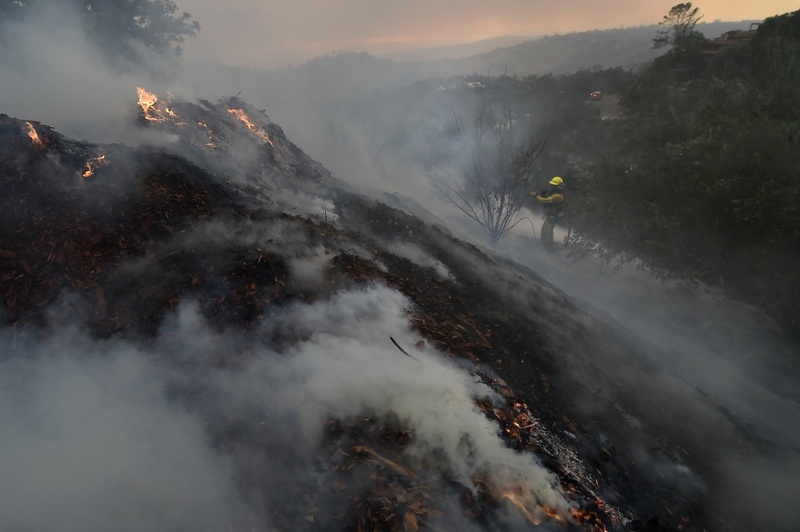 A firefighter puts out hotspots on a smoldering hillside in Montecito, California as strong winds blow smoke and embers inland on December 16, 2017 at the Thomas Fire. A Red Flag Warning remains in effect for most of Southern California including south Santa Barbara County. Meteorologist Dan Gregoria with the National Wather Service said no one should let their guard down. "The fuels are extremely dry, actually record levels. 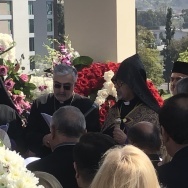 No one should be burning outdoors," Gregoria told KPCC. Northerly "sundowner" winds drove the fire south and west on Saturday night. "When the sundowners surface in that area and the fire starts running down slopes, you are not going to stop it," Mark Brown, of the California Department of Forestry and Fire Protection, said at a news conference. "And we are not going to stand in front of it and put firefighters in untenable situations." Firefighting foam falls on inmate firefighters at the Thomas Fire on December 16, 2017 in Montecito, California. Early Sunday morning, Ventura County officials lifted evacuation orders for Highway 150 between Santa Ana and Highway 192. 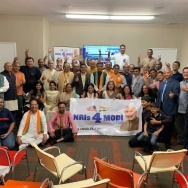 All areas east of Highway 154, south of East Camino Cielo, west of Toro Canyon and north of Highway 101 at Toro Canyon to South Salinas then north of Alameda Padre Serra and to Highway 192 west to 154. The previous evacuation order for the area east of Toro Canyon to Casitas Pass Road north of Highway 192 and south of East Camino Cielo remains in effect. 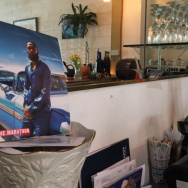 On Saturday, residents piled into cars and fled Santa Barbara, turning the city's downtown area into what one resident described as "a ghost town." The mandatory evacuations around Montecito and neighboring Summerland came as firefighters sprayed water onto hot spots sparked by blowing embers. They also drove to the historic San Ysidro Ranch in yellow firetrucks as heavy smoke rose from the coastal hills, blotting out blue skies. 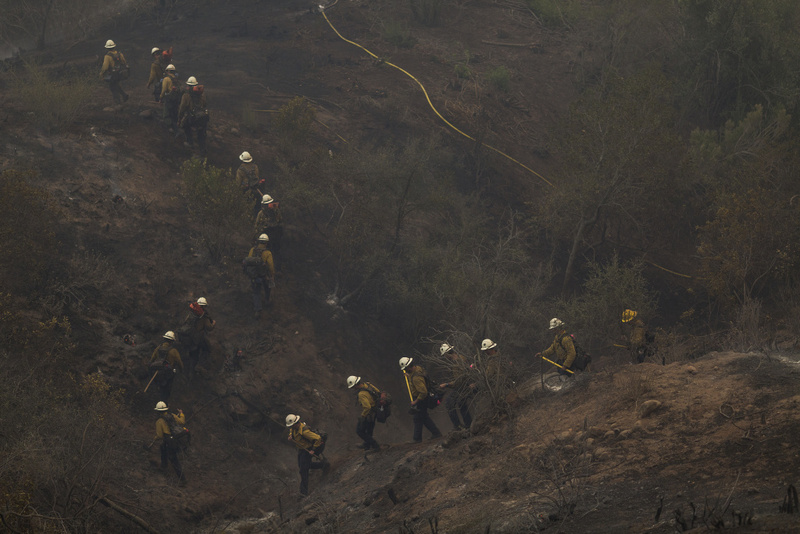 A Hot Shot crew marches through a canyon between homes to fight the Thomas Fire on December 16, 2017 in Montecito, California. 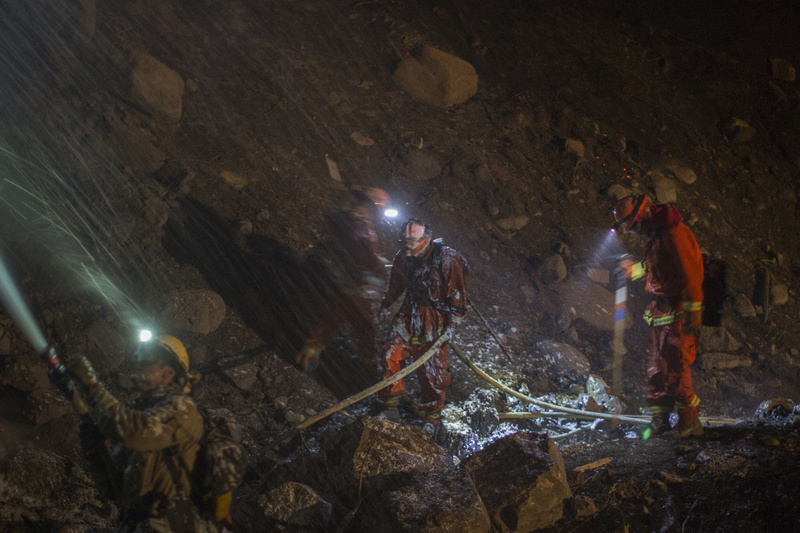 About 95,000 people have been placed under mandatory evacuation. The evacuation zone near Santa Barbara on Saturday was 17 miles long and up to 5 miles wide. The newly expanded evacuation orders encompassed about 3,300 people. 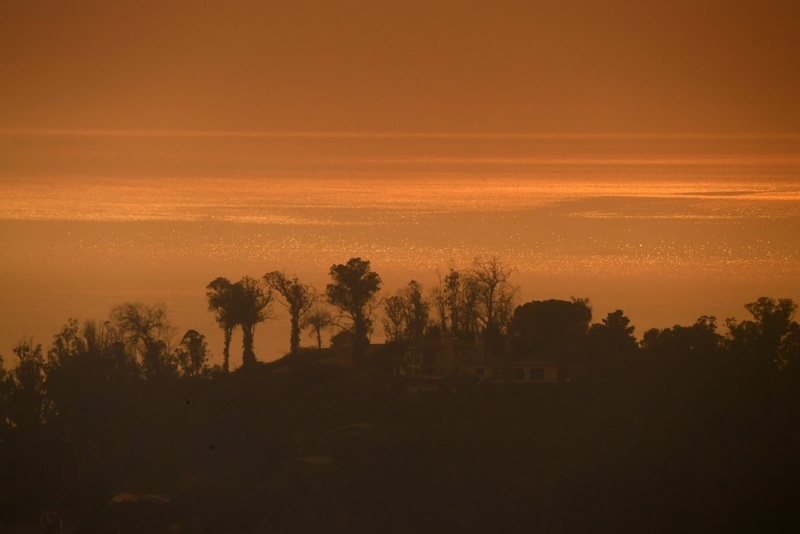 The mid-afternoon view of the Pacific Ocean from a hillside in Montecito, California is orange due to smoke from the Thomas Fire on December 16, 2017. 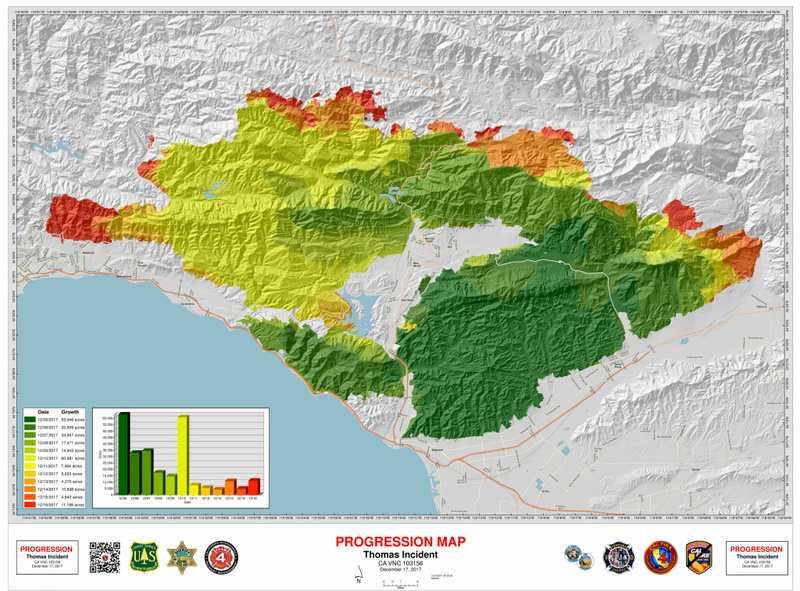 A map of the Thomas Fire's progression from early Sunday, Dec. 17, 2017. Voluntary evacuation orders were issued issued to the Santa Barbara Zoo on Saturday. Workers began putting some animals into crates and kennels while others are being kept indoors to minimize smoke and ash exposure. 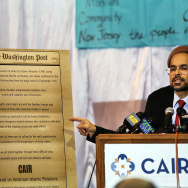 "A lot of is it not readily apparent. It's just like people. 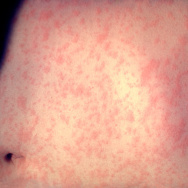 They tell you to wear masks because it's nothing that may be immediately evident, but over time, things can develop," Rich Block, the zoo's CEO, told KPCC. The zoo has about 500 animals, including a pair of Amur leopards, a critically endangered species. Block said that zoo staffers and volunteers have been meeting for nearly two weeks to nail down an emergency plan. "The fire itself is directly to the north of us. So our big concern is the change in the wind pattern, with strong winds coming out of the north and pushing them south, certainly brings it to our front door," he said. Some animals, like the California Condor, were re-located to the L.A. Zoo over the weekend as a safety precaution. Other zoos are also ready to accept evacuated animals. The Fresno zoo has an incubator available for a baby giant anteater, and the San Diego zoo is prepared to accept the Amur leopards and other cats, zoo spokesman Dean Noble said. This is the first time the Santa Barbara Zoo has been under any kind of evacuation order, according to Block. The zoo remains closed on Sunday. 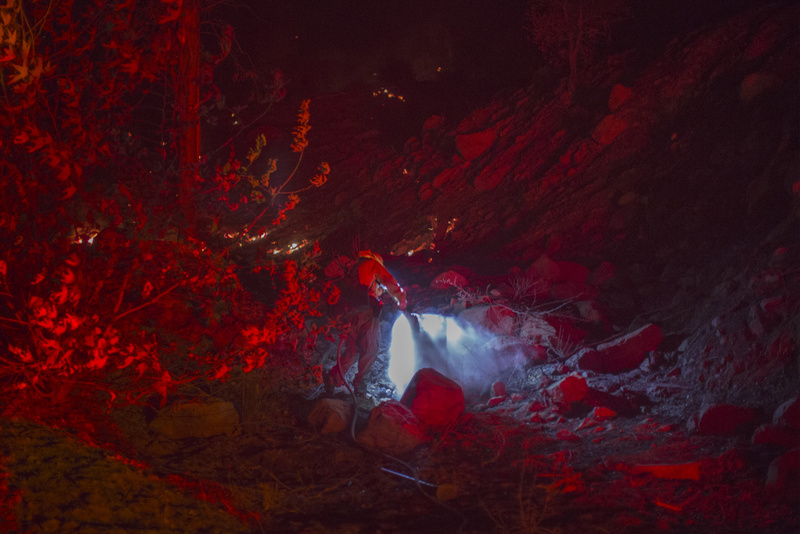 The lights of a firetruck illuminate a firefighter dowsing a hot spot at the Thomas Fire on December 16, 2017 in Montecito, California. The northbound lanes of U.S. Highway 101, coming up the coast from Los Angeles, are open. Highway 154 is open but East Camino Cielo and Painted Cave will remained closed. The highway will be closed Monday from 5 to 9 am. • SR 33 is again CLOSED from Fairview Ave, Ojai to Ventucopa. Everything about the fire has been massive, from the sheer scale of destruction that has incinerated entire neighborhoods to the number of people fighting it: about 8,300 firefighters from nearly a dozen states, aided by 78 bulldozers and 29 helicopters. So far, firefighting costs have exceeded $117 million. The cause is under investigation. The 418-square-mile blaze is still moving westward and has crested Montecito Peak. Known for its star power, Montecito boasts the mansions of Oprah Winfrey, Ellen DeGeneres and many other celebrities. One firefighter was killed battling the blaze. Cory Iverson, 32, of San Diego, died of burns and smoke inhalation, according to autopsy results announced Saturday. Officials previously said an accident led to his death but have not released more details. 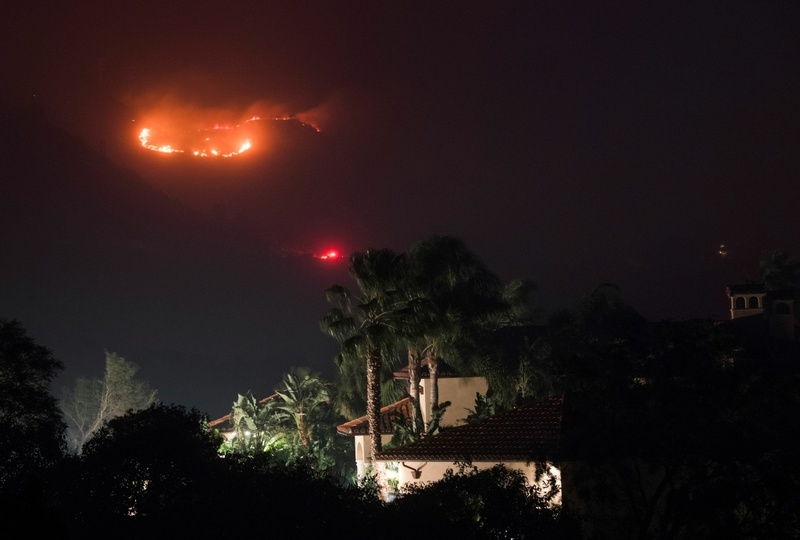 Fire burns in the hills behind a home at the Thomas Fire, December 16, 2017 in Montecito, California.